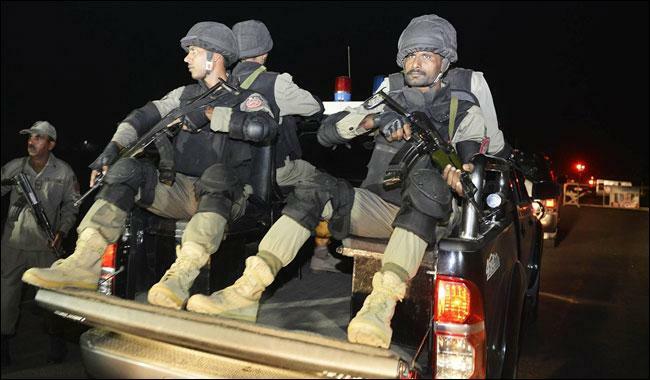 DERA ISMAIL KHAN: Punjab Rangers on Monday foiled an attempted terrorist attack in Dera Ghazi Khan (DG Khan) district by killing three terrorists, a spokesperson of the security forces informed media. According to the initial details, the suspects opened fire at the law enforcement personnel when asked to stop their vehicle at a check post. In retaliation, the officers of Punjab Rangers killed three terrorists. One of the officers sustained was injured and provided medical care later on. Rangers seized the arms and explosives hidden secretly inside the car. Moreover, a search operation was launched to clear the area.